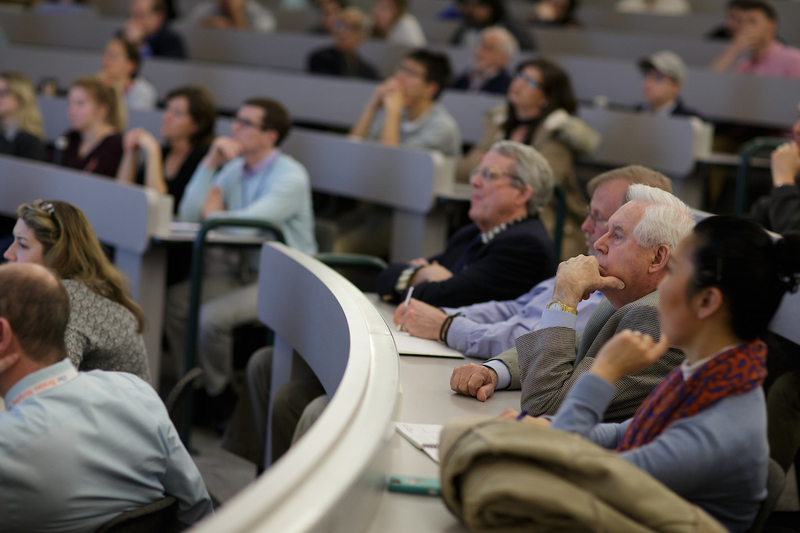 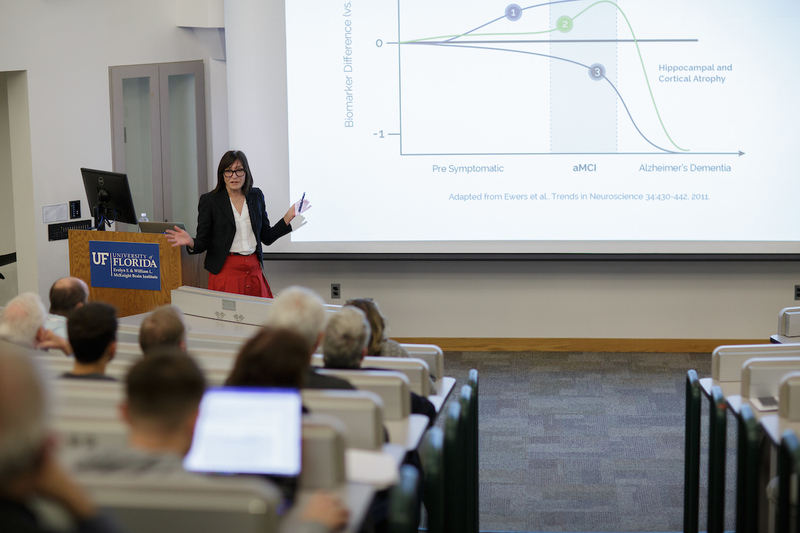 Michela Gallagher, Ph.D., delivered the sixth annual William G. Luttge Lectureship in Neuroscience on Thursday, March 15 during the McKnight Brain Institute’s celebration of Brain Awareness Week. 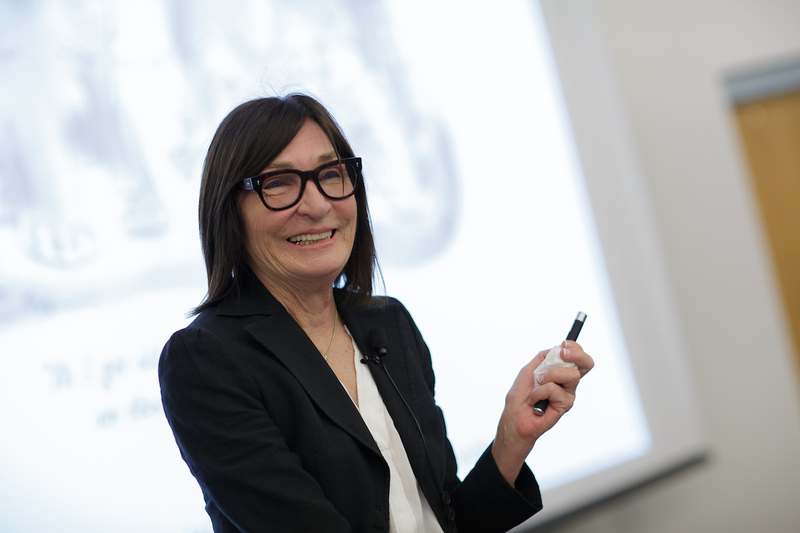 Gallagher, who directs the Neurogenetics and Behavior Center at Johns Hopkins University, investigates cognitive aging through the window of individual differences, and her lab is examining not only cognitive decline but also cognitive resilience. 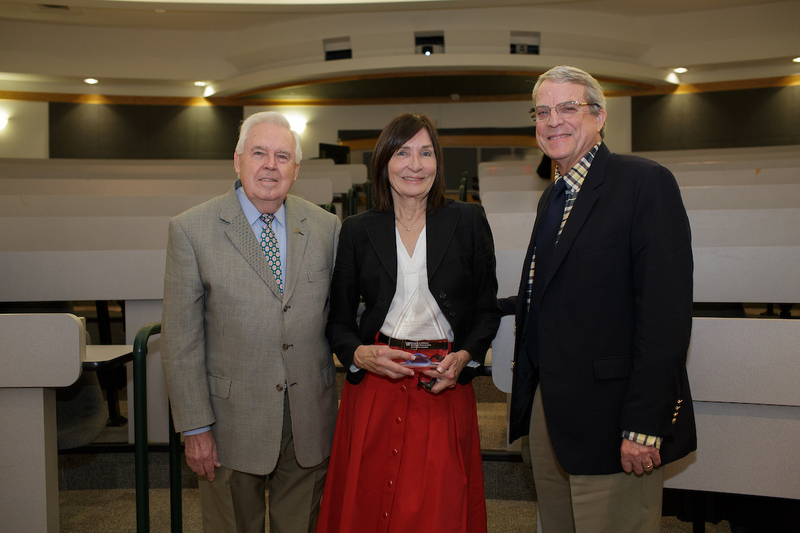 (From left) William R. Luttge, Michaelyn Luttge and Michela Gallagher, Ph.D.
(From left) J. Lee Dockery, M.D; Michela Gallagher, Ph.D.; and Gene Ryerson, M.D. 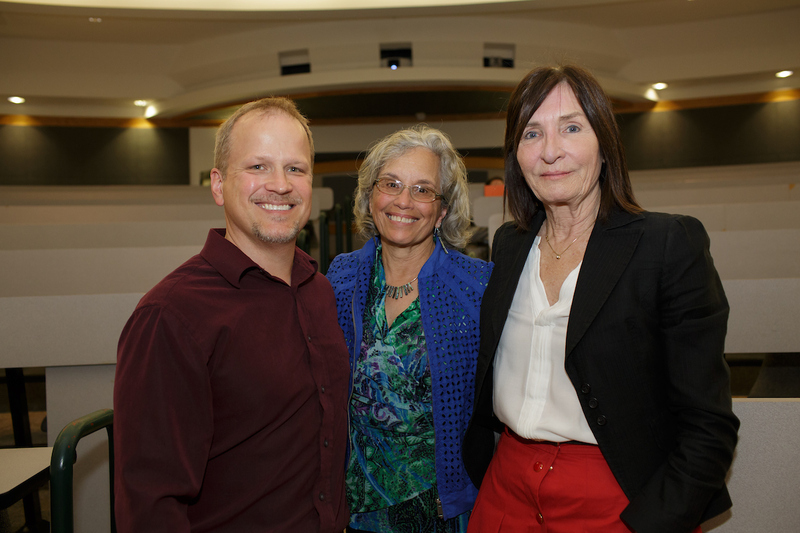 (From left) Steven DeKosky, M.D. 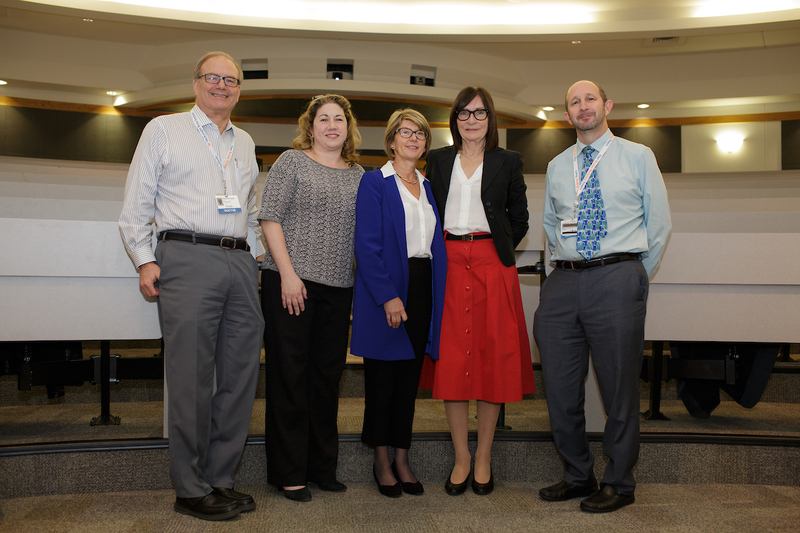 ; Jennifer Bizon, Ph.D.; Lucia Notterpek, Ph.D.; Michela Gallagher, Ph.D.; and Todd Golde, M.D., Ph.D.